We believe the Bible is for everyone in China so we are working towards the day when everyone can access the Bible in the language and medium of their choice. Outwardly, 27-year-old Andrew seemed like he had everything, with a bright road of success ahead of him, but deep inside, there was a longing for more. He sought to fill the void in his heart through excessive drinking. How did the Word of God convict and transform him? Like many in China who have attained a desirable standard of living yet find themselves spiritually hungry, Yan Min found the endless toil of material pursuit meaningless. This changed after she bought a Bible from a church bookstore and started devouring the Word of God. One year after becoming a believer, Kong Jinxiang heard the call to be a preacher in his church. Recognising the importance of sound biblical doctrine, he made the effort to study the Bible in order to answer the call of God. Here's an account of a faithful servant of God whose desire to serve the Lord has not diminished even after many years. Liu Tingting is a teacher at Shandong Seminary who has witnessed God's miraculous work of healing upon her immediate family members. "His grace is greater than any crisis my family and I have faced.” Having experienced the grace of God so personally, she is committed to serve Him. Read more about her story here. 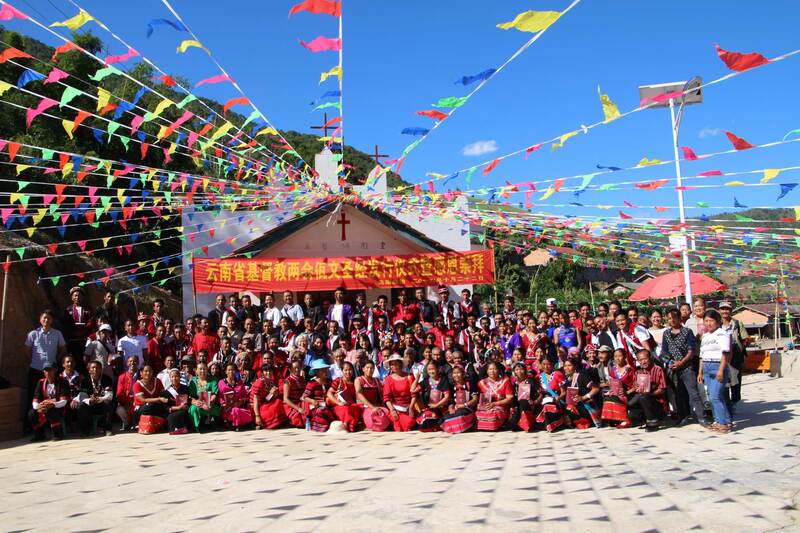 The CUV as God’s gift to the Chinese Church. It marked a significant milestone in the development of Christianity in China, aiding in the spread of the gospel. Beyond that, it is also an important landmark in the sinicization of Christianity in China. Read about its Centenary here! 2019 marks the 100th anniversary of the Chinese Union Version Bible (or CUV), known as 和合本圣经 in Mandarin. Over the years, the availability of the Bible in the Chinese language has played a significant role in the growth of the Church. This brief summary of the Why, How and Impact of the CUV Bible is a wonderful testimony of God's hand over the work in China. Set aside time for Bible Moments! Bible Moments is recognized by the Church in China as the authorized Chinese-English Bible App of United Bible Societies!